BASF Plastic Materials is committed to meeting the automotive industry's global needs for reliable supply of quality performance plastics and state-of-the-art technical service. We are building our global resins manufacturing capacities, expanding our technical resources and developing innovative solutions for the needs of the automotive industry. GLOBAL CAPACITIES If your needs call for styrenic copolymers, including ABS, ASA and SAN, BASF makes all of them. Our new North American plant for making Luran(r) S ASA, Terluran(r) ABS and Luran(r) SAN will begin production in the first half of 2000. The 286-million lbs./yr. plant is in Altamira, Mexico. The Altamira plant will give BASF worldwide styrenic copolymers supply, with facilities in Europe (Ludwigshafen, Germany), Asia (Ulsan, South Korea) and North America. If your needs call for nylon resins, including nylon 6, nylon 66, nylon copolymers and high-heat resistant nylon, BASF makes all of them. Recently, we expanded the capacity of our Freeport, Texas nylon 6 resin plant. The company's total NAFTA capacity is now 620 million lbs./yr. One of the world's leading producers of nylons, with more than a billion pounds of capacity worldwide, BASF also has major nylon complexes in Belgium, Germany and England. 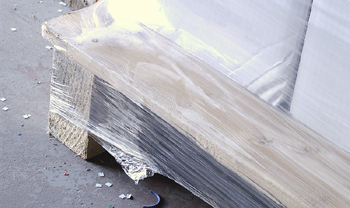 If your needs call for acetal resins, BASF is a leading supplier of acetal copolymer resins. The Ultraform Company plant in Theodore, Alabama, which is now wholly owned by BASF Corporation, now has an Ultraform(r) acetal resin capacity of over 70 million lbs./yr. We also make acetal resins at our plant in Ludwigshafen, Germany. If your needs call for thermoplastic polyesters, polysulfone, polethersulfone, or thermoplastic urethanes, we also make these resins. GLOBAL TECHNICAL ASSISTANCE If you are a world-class manufacturer, you know you need more than just a raw materials supplier, you need a supplier that offers total world-class support. Successfully developing new or improved plastic products requires expertise in material selection, design feasibility, cost evaluation, mold layout, process optimization and prototyping. At the BASF Plastics Applications Center in Wyandotte, Michigan, our experienced applications specialists are available to help solve tough design problems and reduce development times. The Plastics Applications Center is part of BASF's global service network. You also can draw on the expertise of our specialists from centers in Germany, France, Spain, Japan, Australia and the UK to meet your application needs. GLOBAL QUALITY BASF Plastic Materials is committed to providing high- quality products and services. We are certified under QS-9000 and ISO 9000 for the manufacture, distribution and servicing of all our performance plastics. BASF is focused on meeting the automotive industry's continuing needs for improving fuel efficiency, reducing manufacturing costs and maintaining high quality. No matter where you are, you can rely on BASF for innovative ideas, state-of-the-art technology, on-time delivery and quality high-performance plastics.